for $649,000 with 3 bedrooms and 2 full baths. 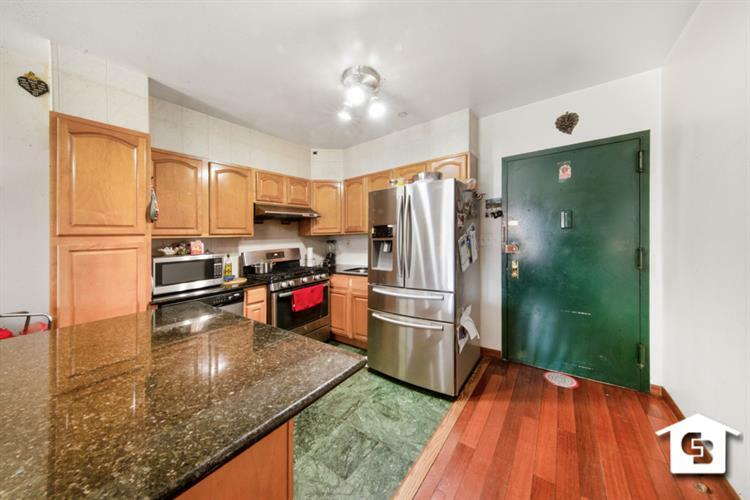 Your new home is a gorgeous three-bedroom, two-bathroom Bay Ridge condo. When you enter the apartment you're greeted by a large open layout with kitchen and living room featuring cove lighting in the ceiling. The kitchen features stainless steel appliances, dishwasher, plenty of cabinet space, granite countertops, and a large island. The large airy living room leads to a terrace with a southern exposure. Washer and dryer in unit is across from a large full beautifully tiled bathroom and whirlpool bath. The master bedroom is large enough for a king size bed and has its own master bathroom. The unit building is tax abated until 2021.This unit is located just a block away from the R train station on Bay Ridge Avenue and just 3 blocks from the BQE entrance in close proximity to shopping and dining on 5th avenue and 3rd avenue.